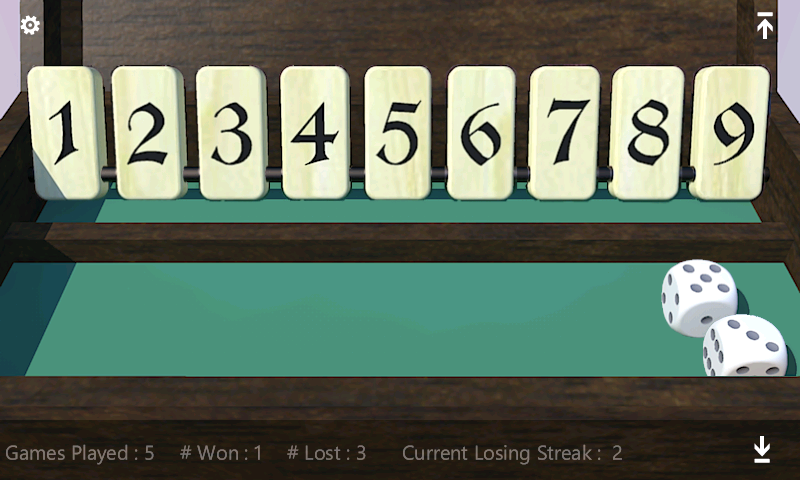 Shut the Box is an Old English game traditionally played in a wooden box with dice and tiles, or shutters, representing the numbers 1 to 9. 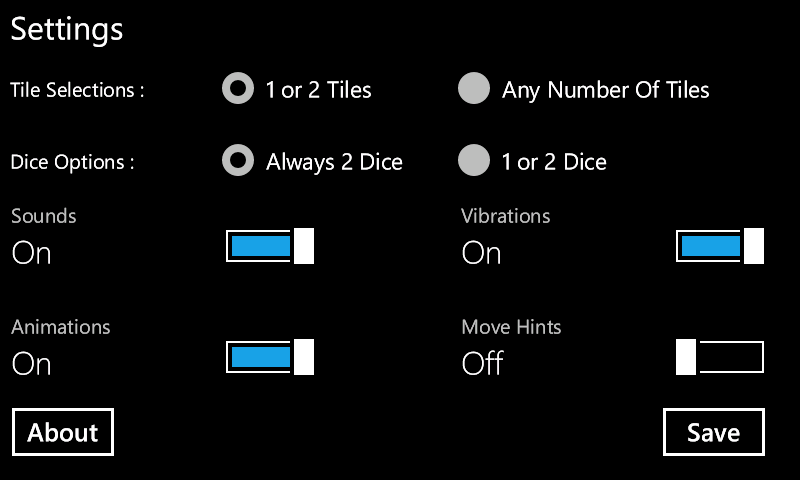 The object of the game is to turn down, or select, all tiles. 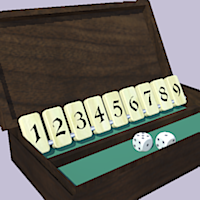 This game provides stunning 3D graphics to give the most realistic feel of actually playing the game in a box and also offers settings to change the play for many known variations. 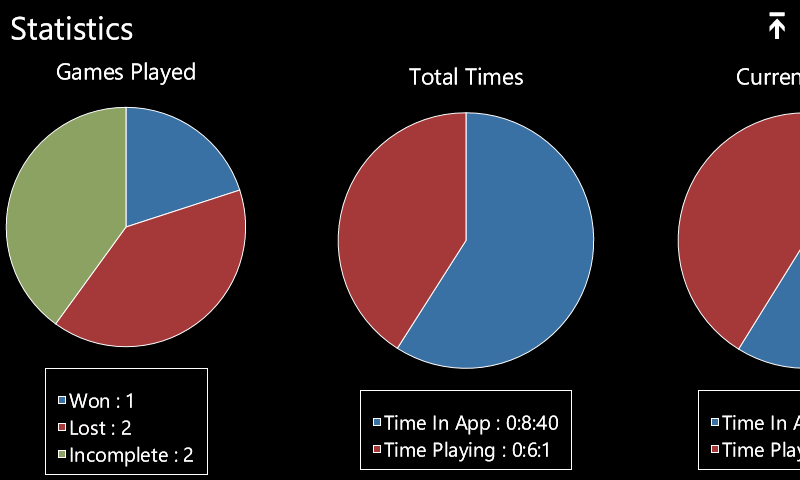 Once finished playing, you can view many statistics in easy to read charts to examine your game play. 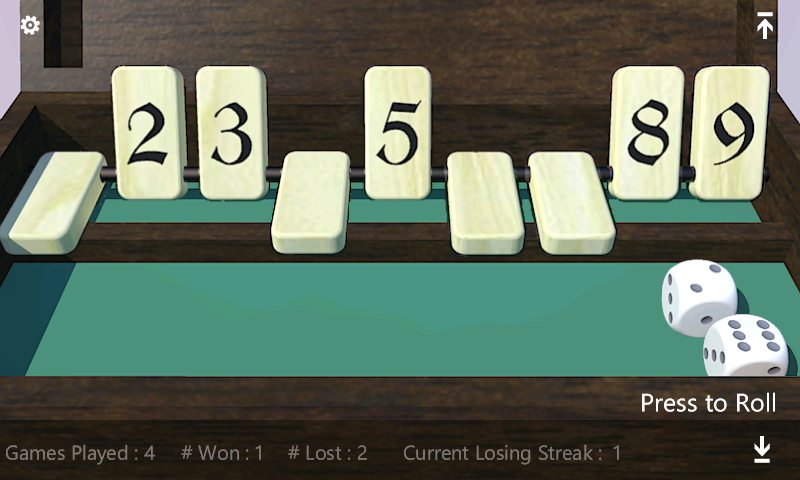 This realistic version of Shut the Box is highly addictive and fun for all ages!